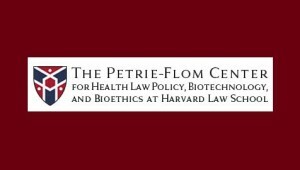 The Petrie-Flom Center for Health Law Policy, Biotechnology, and Bioethics at Harvard Law School presents its 2015 Annual Conference, Law, Religion, and Healthcare, May 8-9, 2015. If you are interested in participating, please send a 1-page abstract of the paper you would plan to present to petrie-flom@law.harvard.edu as soon as possible, but not later than December 1, 2014. This conference, and anticipated edited volume, will aim to: (1) identify the various ways in which law intersects with religion and health care in the United States; (2) understand the role of law in creating or mediating conflict between religion and health care; and (3) explore potential legal solutions to allow religion and health care to simultaneously flourish in a culturally diverse nation.